KUWAIT CITY (AP) — A Germany-bound Eurowings passenger flight from Oman landed in Kuwait on Sunday over a bomb threat but no explosives were found on board, authorities said. The plane from Salalah heading to Cologne was Eurowings flight No. EW117, an Airbus A330-203. The state-run KUNA news agency of Kuwait said 299 passengers on board were evacuated over the incident. It said the plane’s captain had requested an emergency landing in Kuwait City. Eurowings said there were 287 passengers and 10 crew members on board the flight, which was being flown by SunExpress on its behalf. The discrepancy in passenger numbers could not be immediately resolved. Eurowings said the flight was a charter for tour company FTI. 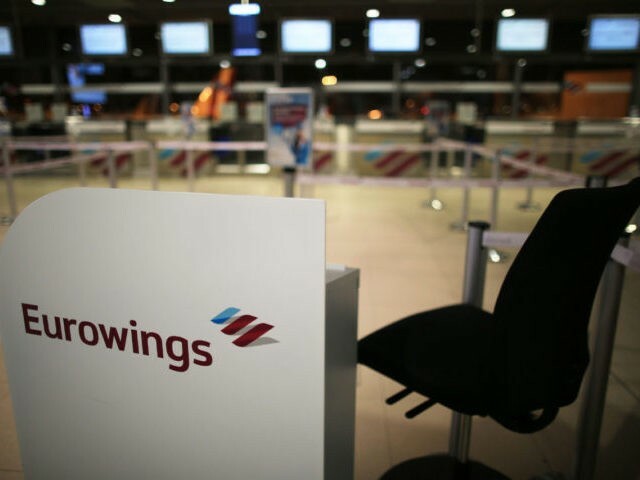 The plane was diverted to Kuwait “for security reasons and in consultation with the relevant authorities,” Eurowings said in an emailed statement, without elaborating. Eurowings is a subsidiary of German air carrier Lufthansa. It began offering direct flights from Cologne to Salalah in October. Tal Muscal, a spokesman for Lufthansa, confirmed the flight was diverted and that no explosives were found on the plane. “I do know there is nothing on board,” he said. Associated Press writers Jon Gambrell and Adam Schreck in Dubai, United Arab Emirates, and Geir Moulson in Berlin contributed to this report.